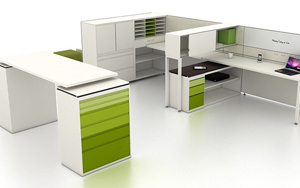 Sourcemaster LLC, specializes in the best office furniture in Diamond Bar, CA. 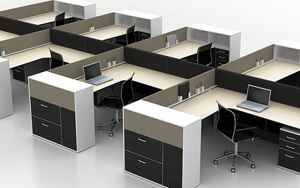 We offer price quotes for refurbished office cubicles, office workstations, office telemarketing stations, used office cubes, pre-owned office call center, used office partitions, and new office modular panel systems. A ground-breaking collection of modular and freestanding soft seating, benches, and tables. Zola's light, sleek grace belles its superb strength and durability, making it an ideal solution for high traffic, intensive use reception areas, and public spaces. We offer FREE of charges for your office space planning with CAD consulting. office space planning is becoming very important. Check out our variety of desk and chair options! Browse through some of our most popular products and learn about the successfully installations.